Is The Hyundai i30 A Replacement For The Ford Fiesta And Volkswagen Golf? Lately, Hyundai and Kia have been making serious moves that have us keeping an eye out for the impending day when the two Korean automakers go from being the bargain pick that buyers settle for to a competitive offering in a segment where automakers fight to the death. The Kia Optima SXL was our first hint that Korea was stepping its game up, which was then followed by positive experiences behind the wheel of Hyundai’s new luxury cars, the Genesis G90 and G80. If Korea wants to maintain its foothold as it transitions to a more upscale market full of top trim models with high profit margins, then it can’t afford to slack on the cars that earn the company its bread and butter. The i30 is a good sign that Hyundai is doing no such thing. Budget car or not, the new i30 aims its crosshairs straight at European buyers looking for alternatives to the Vauxhall Astra. Oh wait, this isn’t Europe, so why should you care? Well for one, the new i30 will make it to the US badged as an Elantra GT, a car that competes with fun and spunky hot hatches like the Volkswagen Golf, Ford Fiesta, and Mazda3. 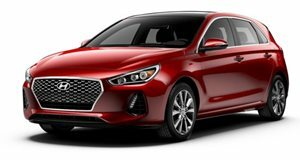 With a 2.0-liter four-cylinder engine living under its hood, the Elantra GT will have best in class power to weight ratio thanks to an engine making 173 horsepower while maintaining a 32 mpg rating by the EPA. What we really want to see is the i30N make it to America with all 375 outrageous all-wheel drive horsepower intact. If the i30 is a success, then the i30N just might happen.